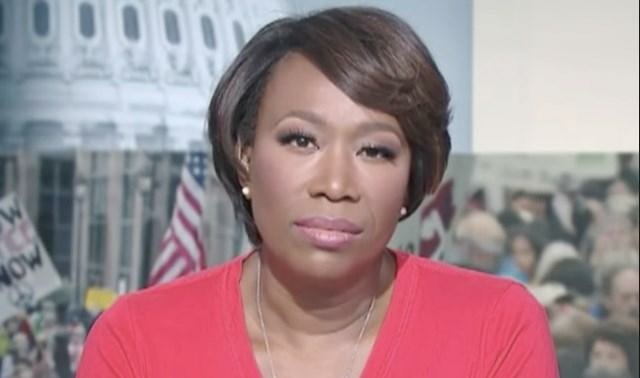 Joy Reid looks to be fairly screwed, after claims that a hacker "fabricated" homophobic and bigoted blog posts attributed to the MSNBC host has fallen apart. After initially claiming that an "unknown, external party" hacked the Wayback Machine's internet archive pages and "fabricated" the offensive comments from over a decade ago, the folks at the Internet Archive responded - claiming they hadn't identified anything "to indicate tampering or hacking of the Wayback Machine" versions of Reid's blog. Now Reid is dropping the claim about the internet archive, per the Daily Beast, which reported Thursday night "Reid and her team no longer believe the archive was hacked, and the Internet Archive has denied any such manipulation could have occurred." Meanwhile, Washington Examiner's Becket Adams notes that Reid's security "expert" is shady. There’s also the fact he says he's an “Information Operations soldier” whose expertise lies in “military propaganda” and “human intelligence.” He also says he is a “ senior” Psychological Operations operative who could have “influenced the propaganda mission of Libya” but “chose not to.” Lastly, it doesn’t exactly strike confidence in one’s heart to learn he scrubbed his social media accounts following the publication of his supposed findings. And as we pointed out yesterday, the noose is closing around Reid - as the posts could have only been "manipulated" within a six-week time frame on the then-virtually unknown Reid's blog. The hacker would have had to manipulate Reid's entries 12 years ago and then just sit on them as Reid got famous - according to Joy's account. Library of Congress hacked too? As The Intercept's Glenn Greenwald noted the other day - "Last week, the same left-wing Twitter user (Jamie Maz) who first unearthed Reid’s anti-gay tweets about Crist unearthed far more toxic, bigoted, and vicious anti-gay articles that appeared to be from Reid’s old blog."